In partnership with legendary motherboard manufacturer; ASUS, & house-hold name in PC cooling; CoolerMaster we have put together a range of epic Intel Coffee Lake Motherboard & CPU Cooler bundles to ensure you have only the best cooling so your new Coffee Lake system can handle the heatwave – the only question is, can you? 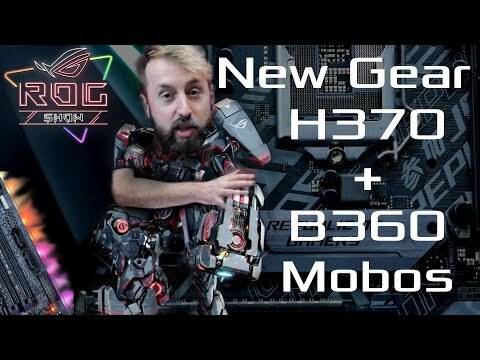 Consisting of a range of motherboards utilising chipset from the top-end Z370 to more mid-range B360 offerings, and coolers from the now ubiquitous air towers, to sophisticated All-in-One Liquid Cooling solutions, providing a plethora of options for system builders & gamers who demand maximum performance, or are looking for a great deal. Click here to view all the ASUS + CoolerMaster bundles. This particular bundle features ASUS’ STRIX B360-F GAMING, part of their Republic of Gamers STRIX range, designed to provide gamers with the best possible motherboard experience out-of-the-box, while including features such as an M.2 heatsink, & Aura Sync RGB lighting, so your system can compete in both style & performance with higher-end MoBos. To take advantage of the performance offered by whichever Coffee Lake CPU you choose, we have united it with the Cooler Master MasterAir MA410P; A high performance tower air cooler with a 120mm RGB LED fan to provide great cooling on Pentium’s all the way up to i7’s. Its single stack tower design with four copper heatpipes & aluminium fins, combined with a MasterFan 120mm Air Balance fan, provide a cooling solution that is effective, stylish & simple to install. Like the majority of air coolers, very minimal maintenance is required, keeping reliability high. The fan even incorporates RGB so you can coordinate or contrast your lighting with your motherboard or other components. 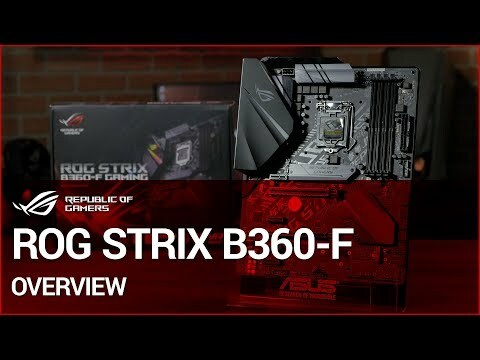 The ROG STRIX B360-F GAMING utilises Intel’s mid-tier B360 chipset, providing many of the core features most gamers need, at better value than the more pricey Z370-based motherboards. Ideal for gamers not interested in overclocking, this bundle is perfect for users that simply want the best performance at stock clocks. Features such as Aura Sync RGB Lighting, M.2 Heatsink, 10Gbps USB 3.1 Gen2 Type-A & Type-C Ports, in addition to CrossFire support, make this motherboard a serious challenger to higher-end models. Rest assured of this Motherboards quality, durability, & performance as ASUS is well known, the world over for producing only the highest quality PC components. This is attested to by our 3XS system engineers whom almost exclusively use ASUS mainboards in our award-winning, professionally built Scan 3XS computer systems. • LGA1151 Socket: Ready for 8th Gen Intel® Core™ desktop processors. • 3D-Printing-Friendly Design: Dedicated 3D mounts make quick work of fitting 3D-printed parts. • On-Board M.2 Heatsink: Cools M.2 drive to deliver consistent storage performance and enhanced reliability. • Continuous Direct Contact Technology 2.0 (CDC 2.0): By compressing heatpipes together, there is 45% more surface area on the cooler base, providing improved heat dissipation over the previous version, CDC 1.0. Please Note: Intel B360 Motherboards are ONLY compatible with Intel 8th. Gen 'Coffee Lake' CPUs. Although these Intel B360 Motherboards share the same socket as Intel's 200 & 100 Series Motherboards, they are electrically incompatible & will not work with 7th & 6th Gen. Intel CPUs.